Thinking about a relaxing and refreshing way to spend your Spring Break? Well head on over to Jefferson in East Texas. We picked just 5 things to do on your Spring Break in Jefferson Texas. Book your reservation at the White Oak Manor bed and breakfast and we will help you by providing plenty of suggestions for things to do. Here are a few that we think you will enjoy. Book carriage ride with The Lone Star Carriage Company of Jefferson Texas. 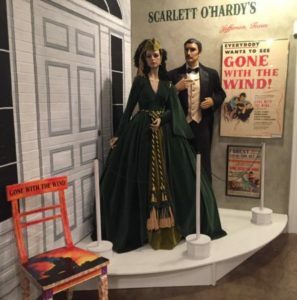 Visit Scarlett O’Hardy’s Gone With the Wind Museum. If you have never been to this wonderful private collection, you must go. Bobby is a wealth of information all about this classic story. Ask her about Bonnie Blue’s mask. Plus this is just one block from us, so you can walk. Enjoy a refreshing ride along the bayou as you view freshly unfurled flowers blooming in the woods and by the shore of the river. And weather permitting every ride Includes a stop at the Diamond Don Alligator Pit for a feeding. Schedule a boat tour through the mysterious swamps out at Caddo Lake, breath in the fresh air and see water birds aplenty. Call Michael Landrum at Bid Cypress Tours @ 903-570-3319. He is a great guide; our guests have really loved his tours. But of course, if you prefer to just do a little shopping, stopping into one of our diners for a bite to eat and coming back to the bed and breakfast for a nap. You can certainly do that as well. We will never tell. 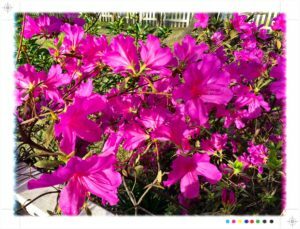 This entry was posted in Spring Events and tagged Carriage Ride, Spring Break, Tours, Train Ride by Tammy D. Bookmark the permalink.